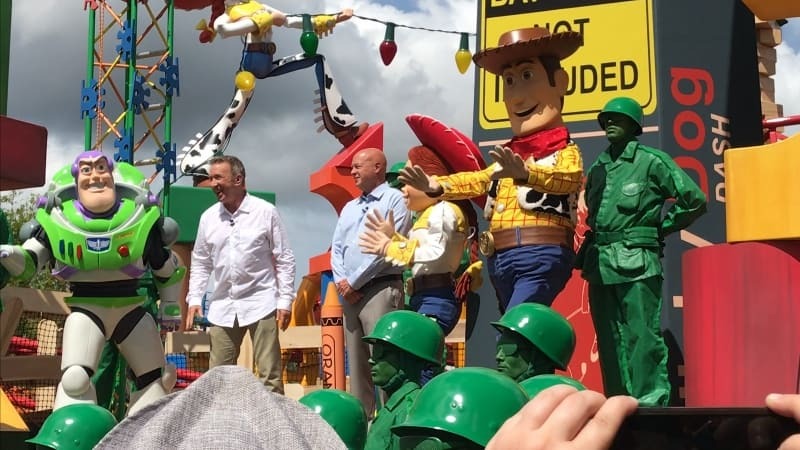 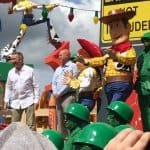 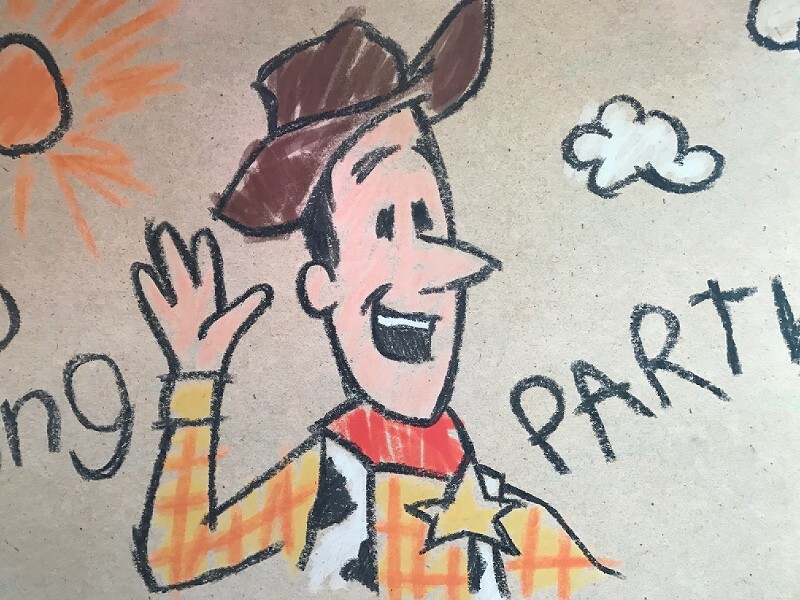 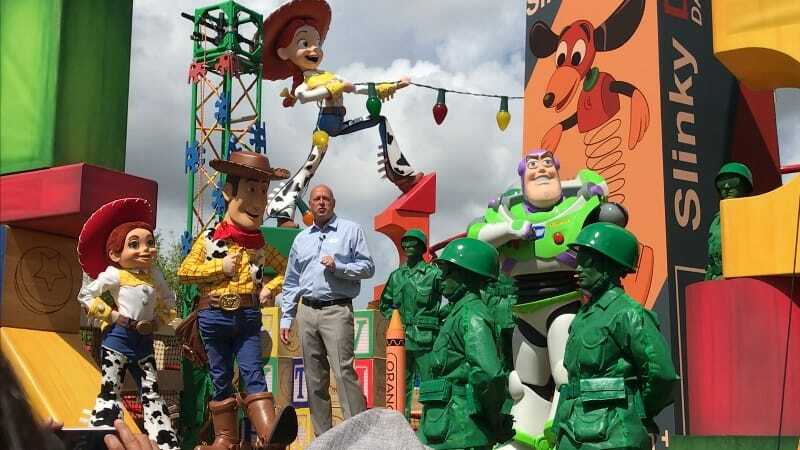 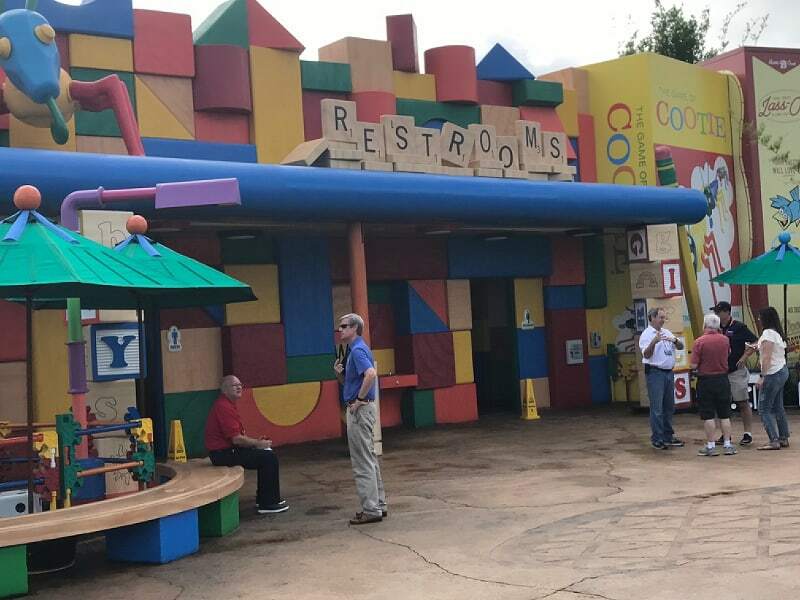 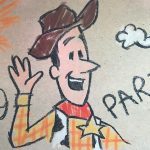 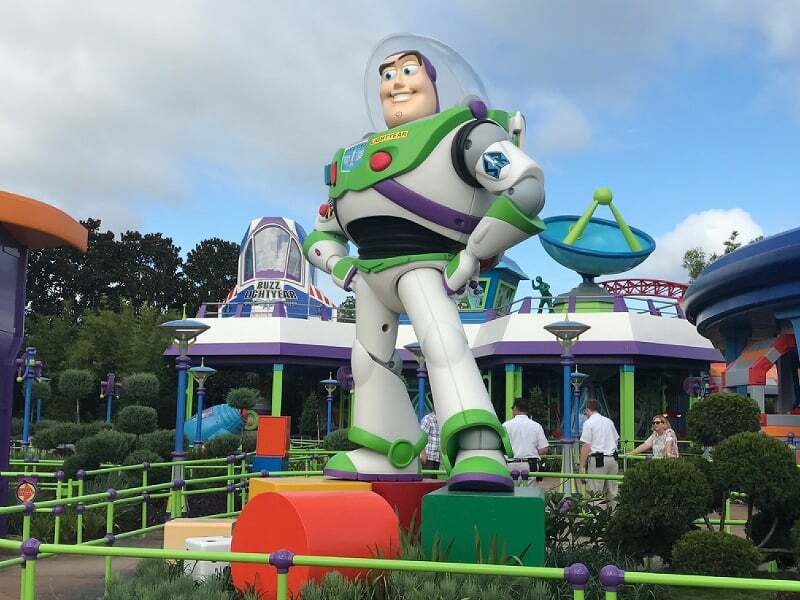 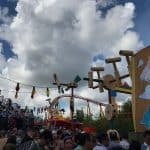 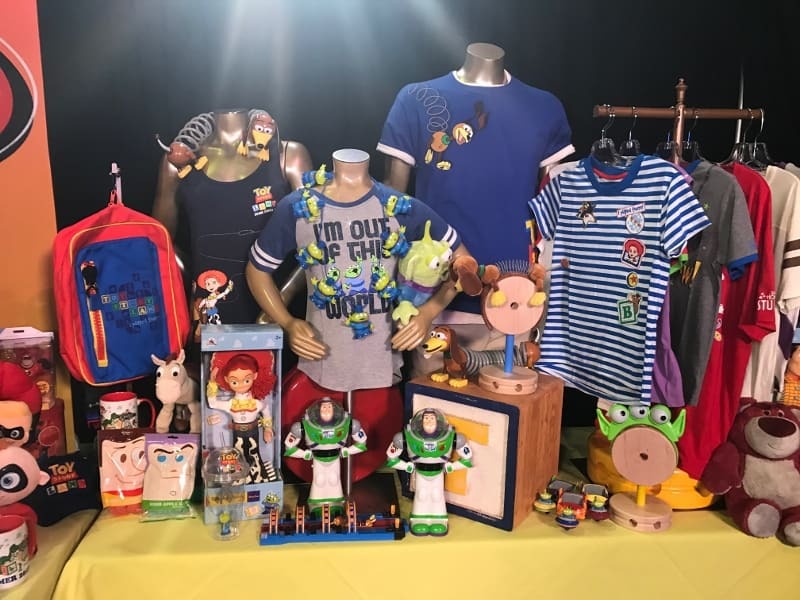 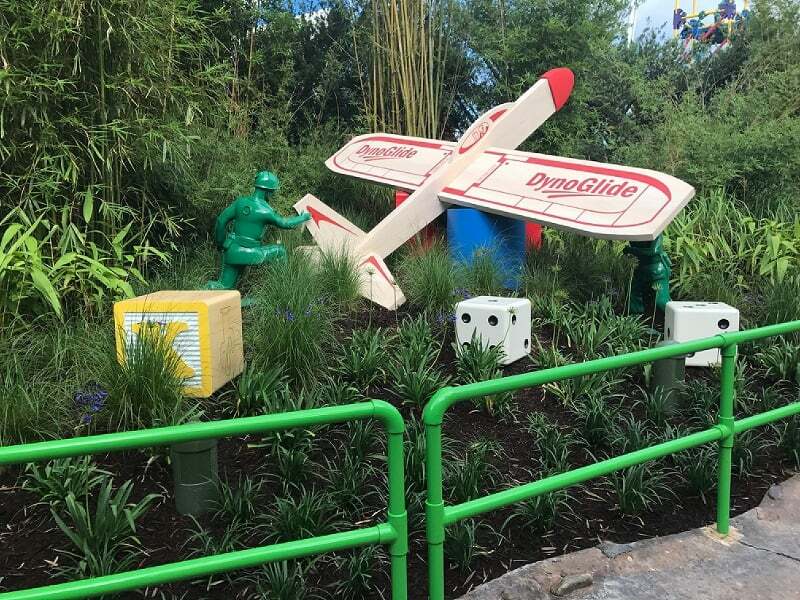 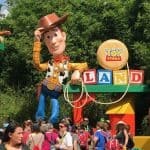 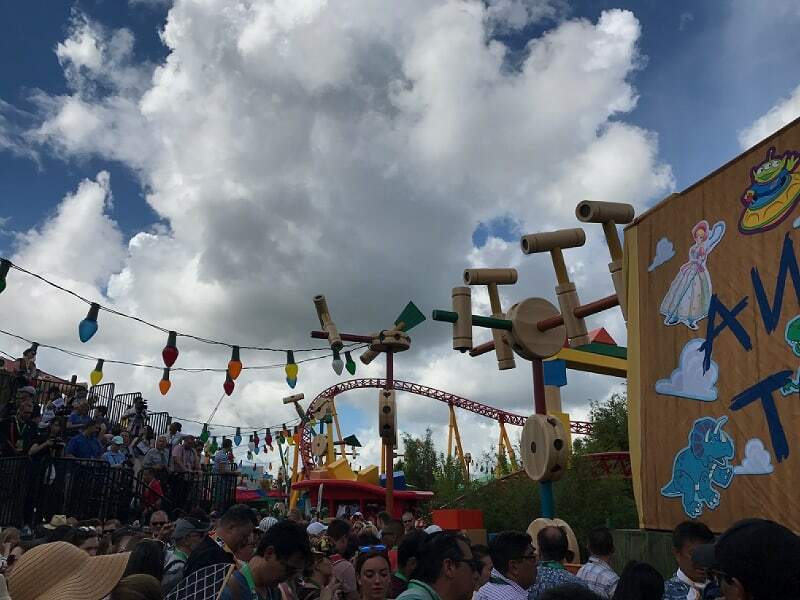 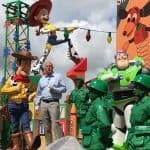 The official Toy Story Land dedication took place on Friday, June 29, 2018. 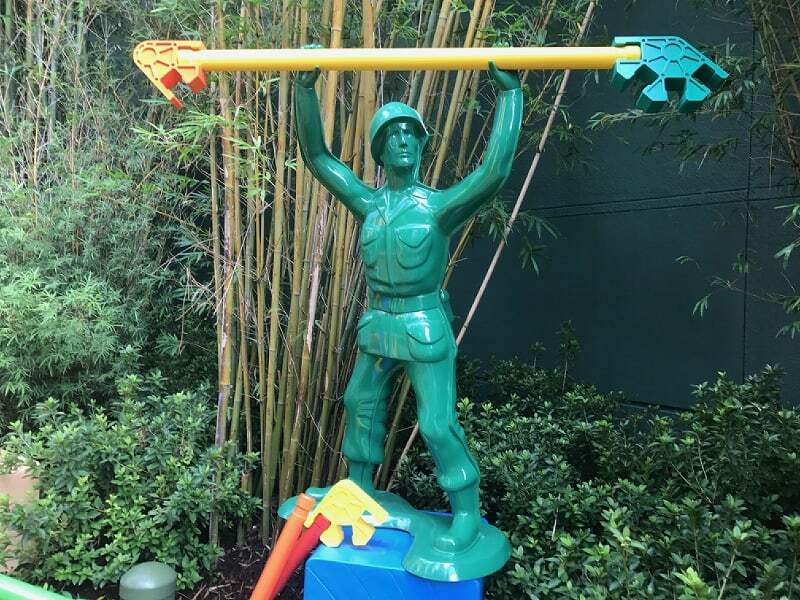 The ceremony started with several Green Army Men, who will be out and about the new land. 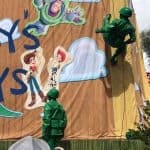 (Watch for the Green Army Drum Corps when you visit.) 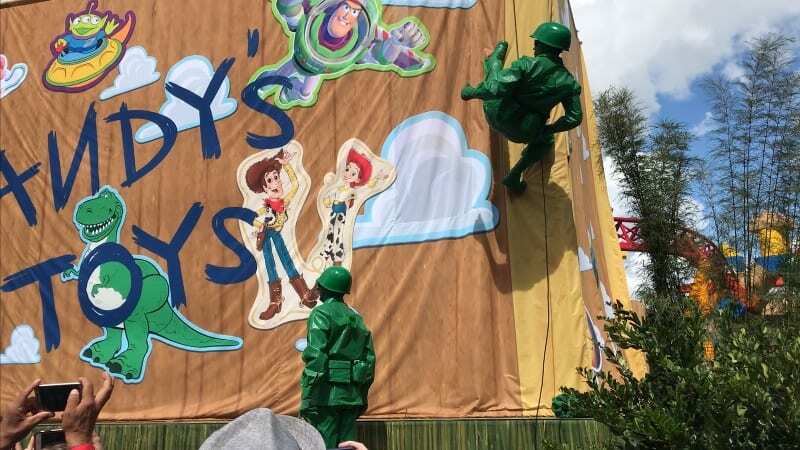 They removed the curtain, and suddenly Woody, Buzz, and Jessie joined the party. 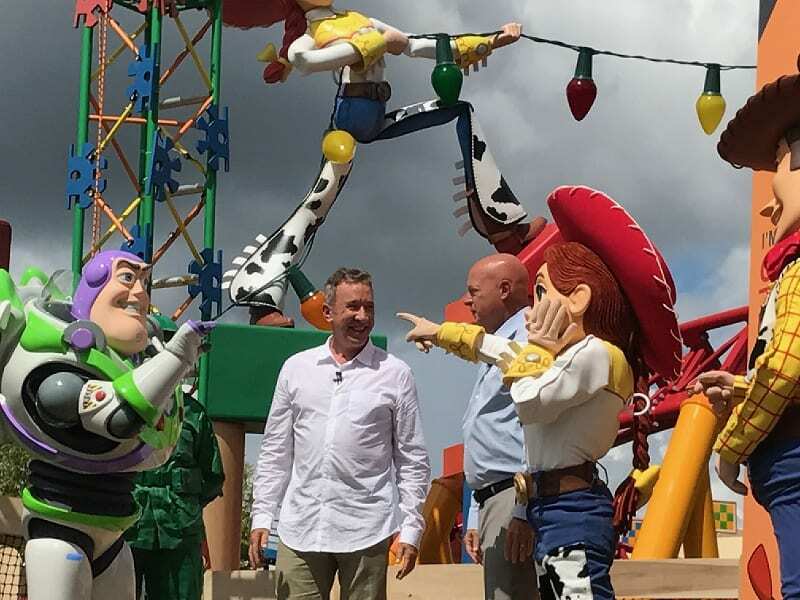 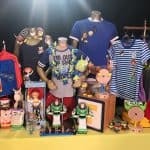 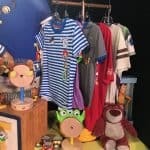 They were soon joined by Bob Chapek, who is the Chairman of Disney Parks, Experiences, and Consumer Products. 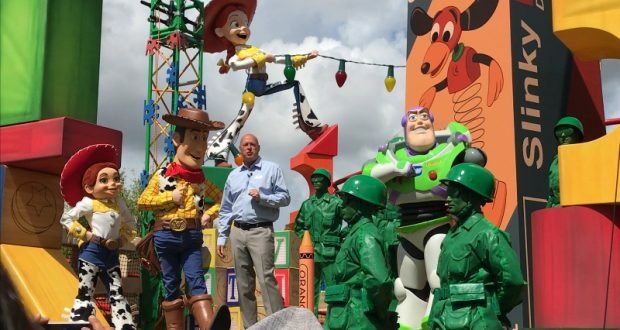 He was there to officially dedicate the land, but there was a snag. 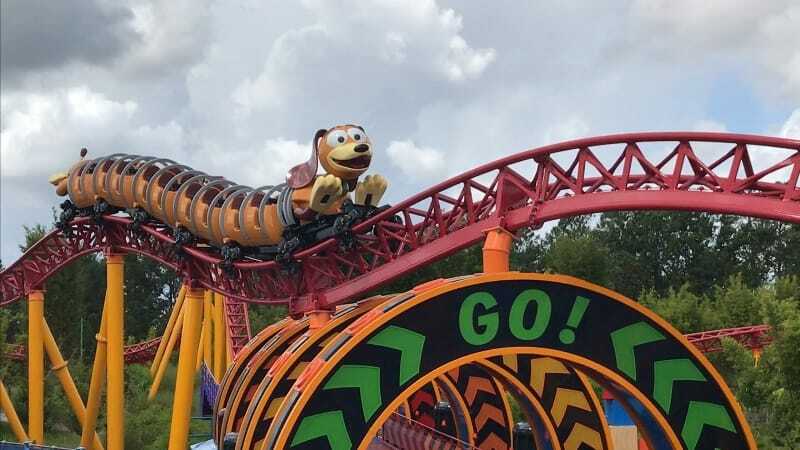 When they tried to start Slinky Dog Dash, they learned that batteries were not included. 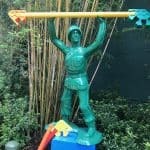 The Green Army Men were on it, and soon there were enough batteries. 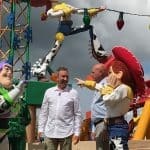 A special guest then joined the group, it was Tim Allen, who of course is the voice of Buzz Lightyear. 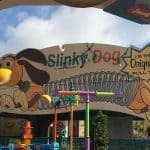 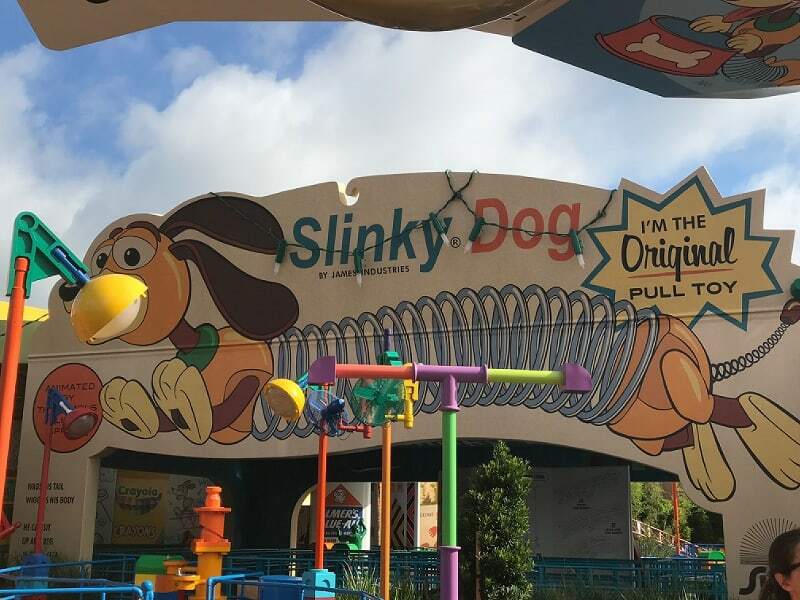 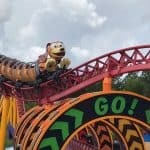 With the help of Allen and the batteries, Slinky Dog Dash started to run, and Toy Story Land was officially dedicated. 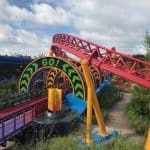 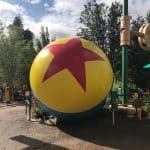 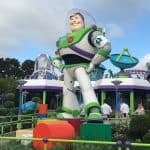 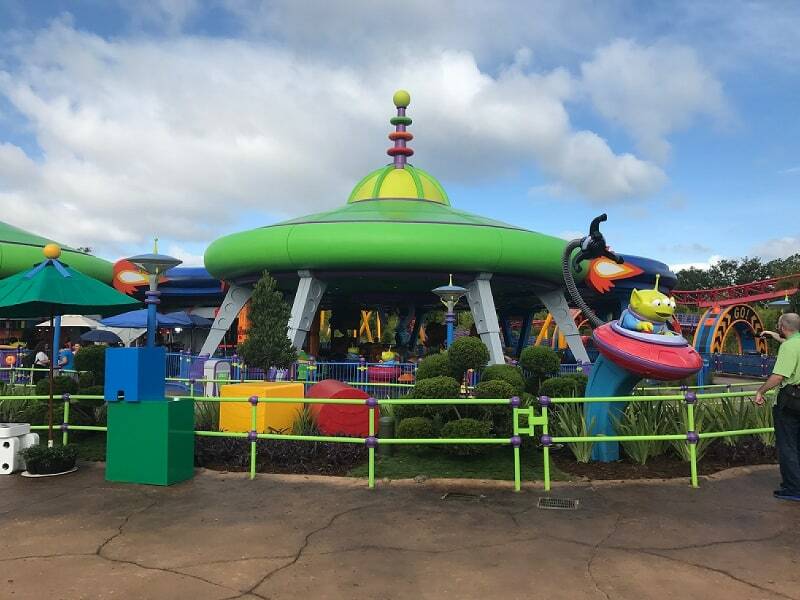 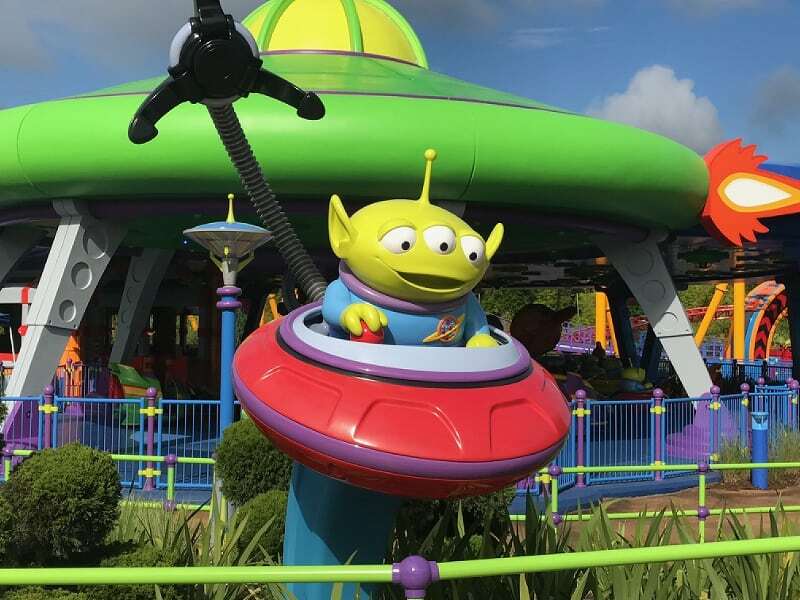 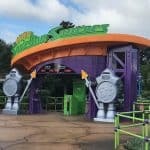 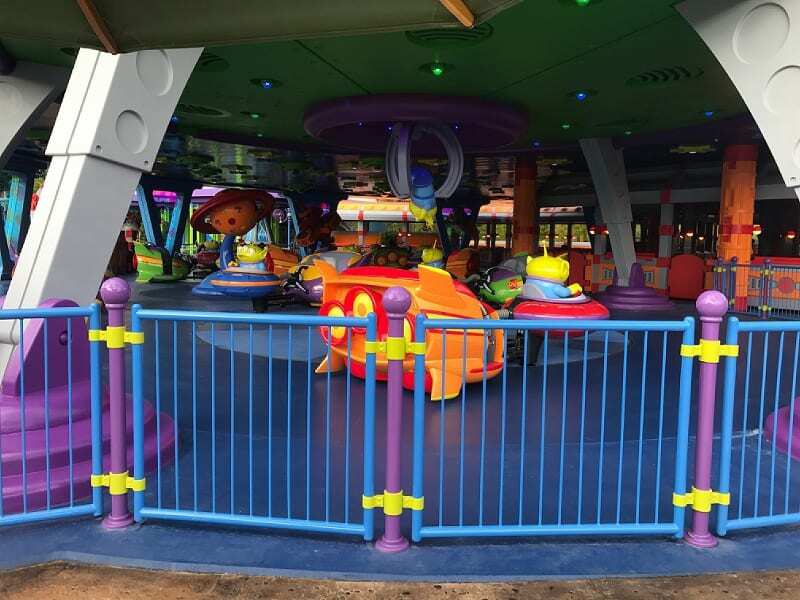 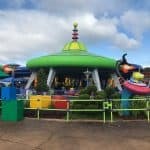 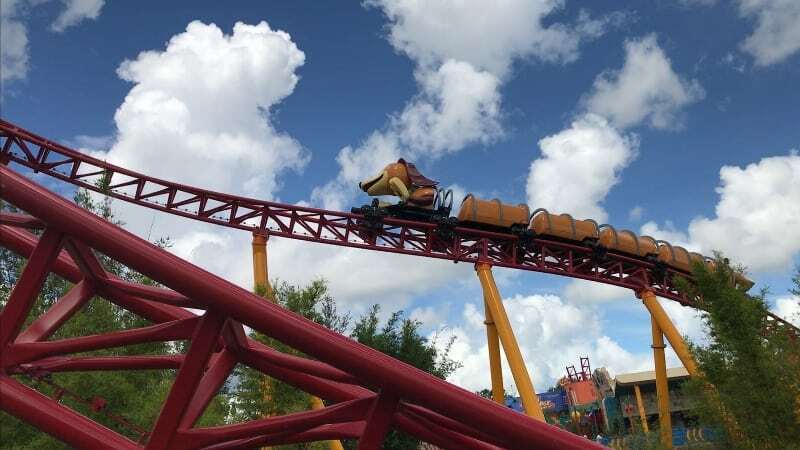 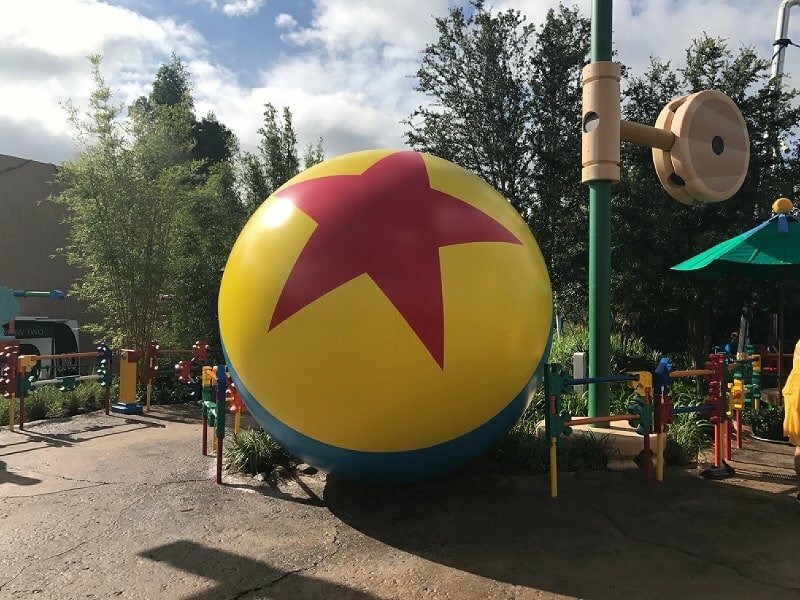 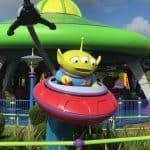 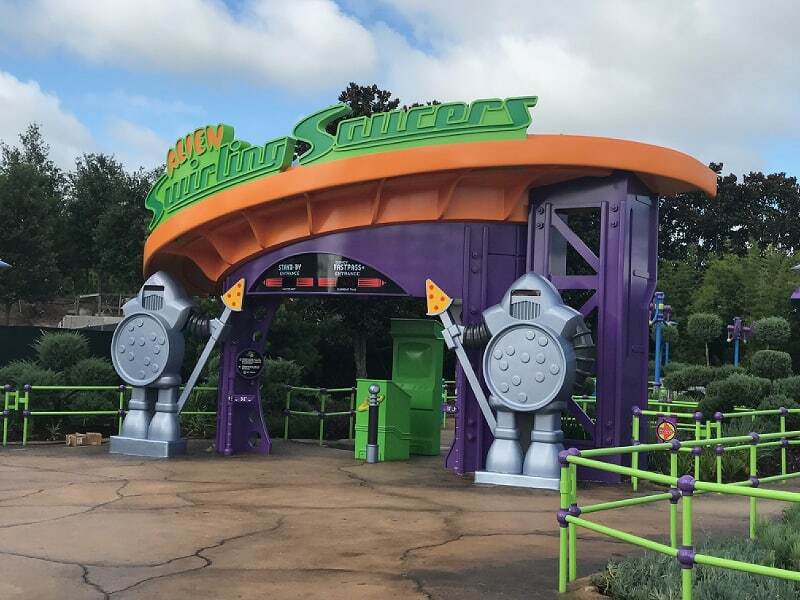 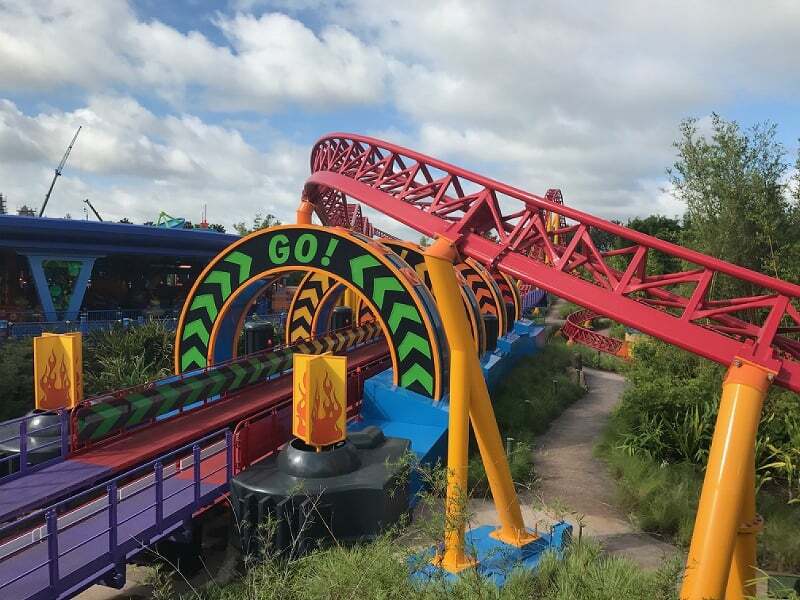 Toy Story Land features two new rides; Slinky Dog Dash and Alien Swirling Saucers. 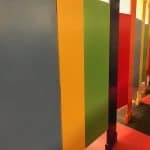 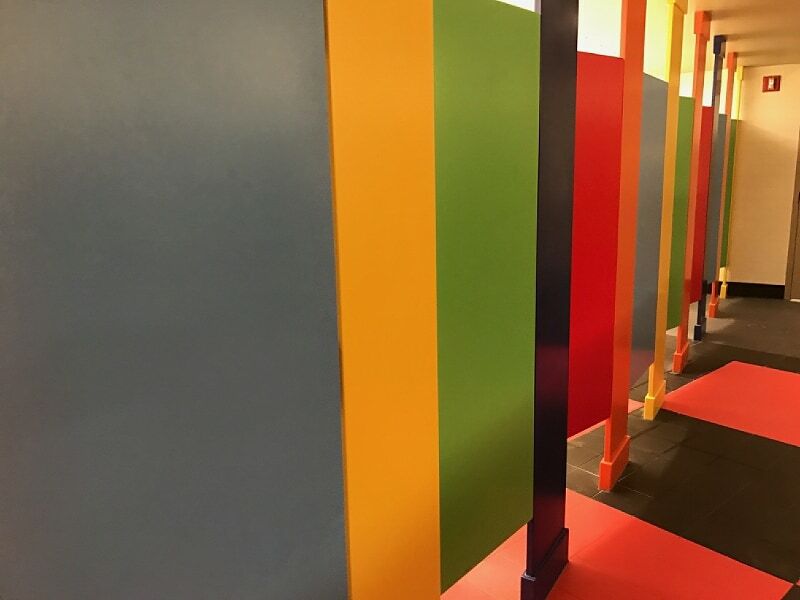 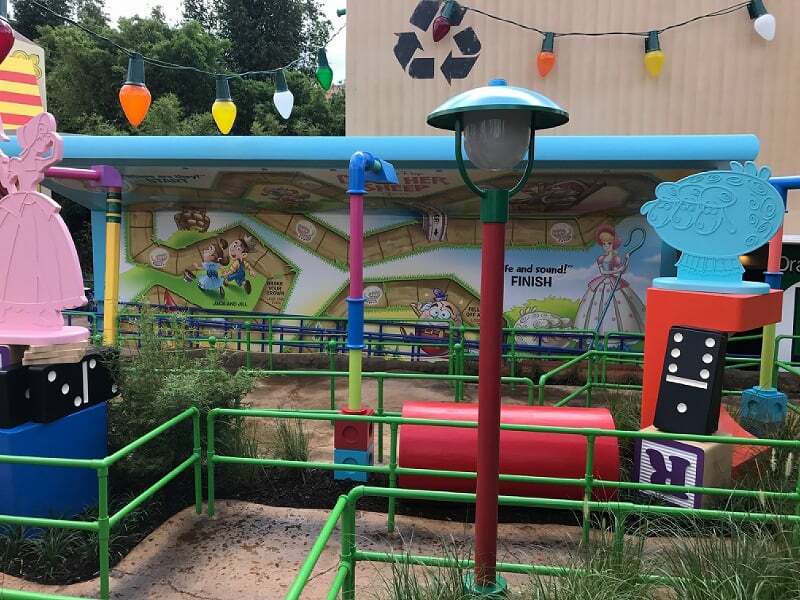 The entrance to Toy Story Mania! 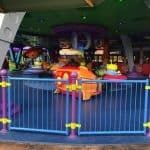 has moved into the land as well. 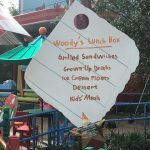 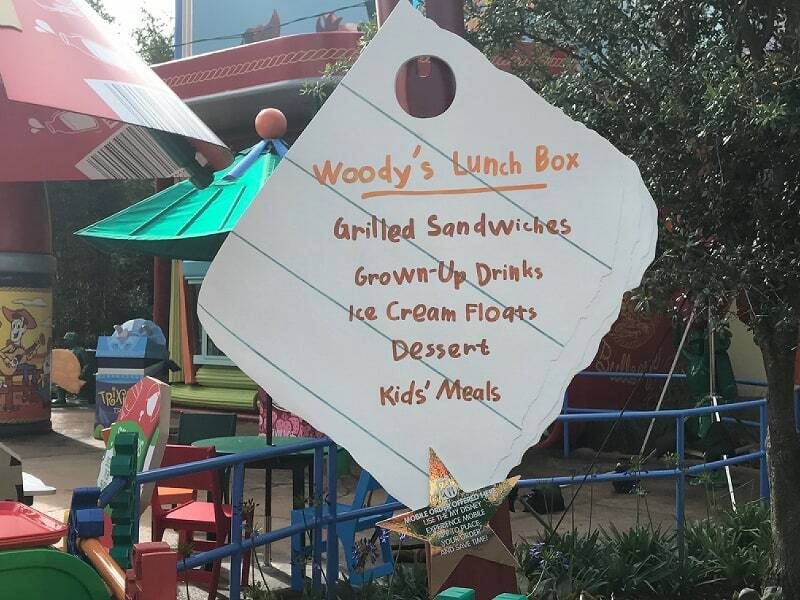 There is one counter service food option; Woody’s Lunch Box. 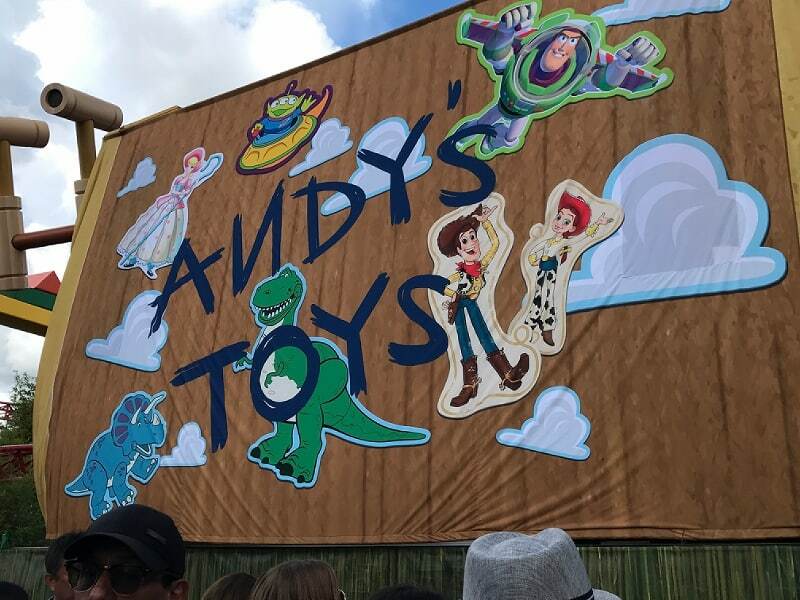 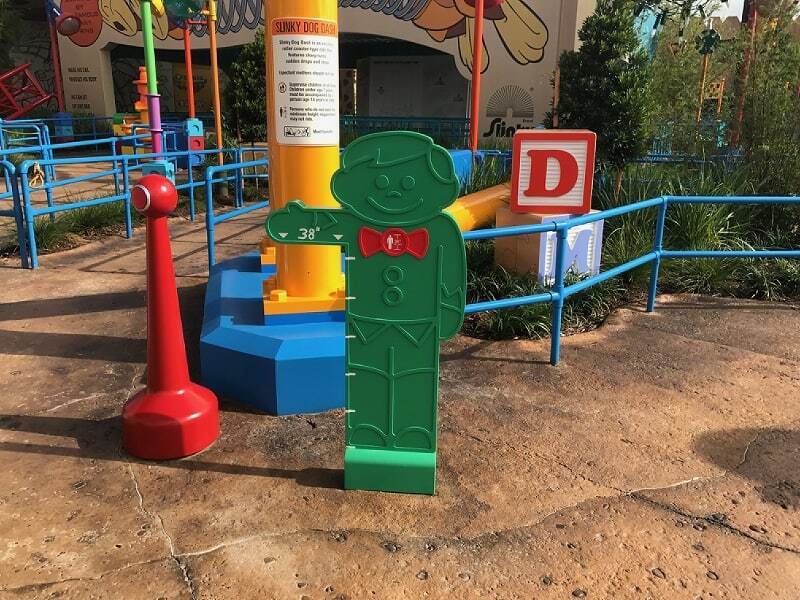 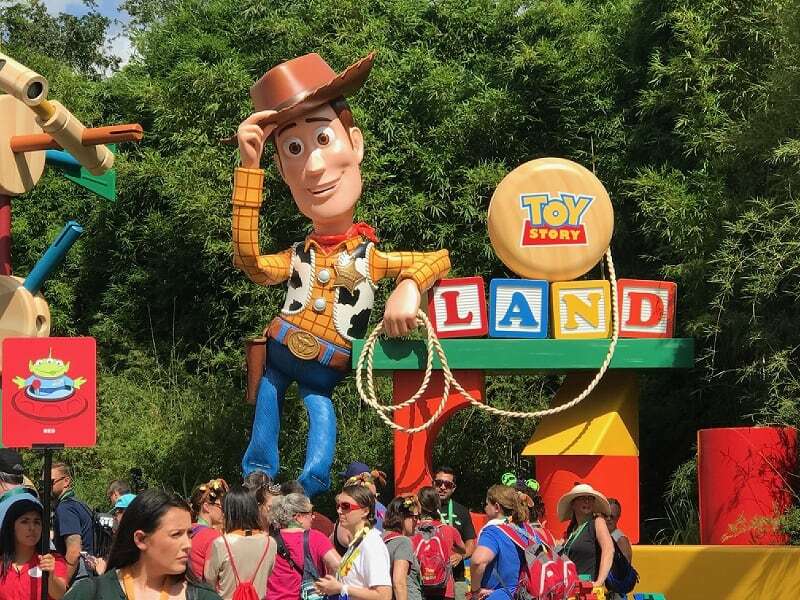 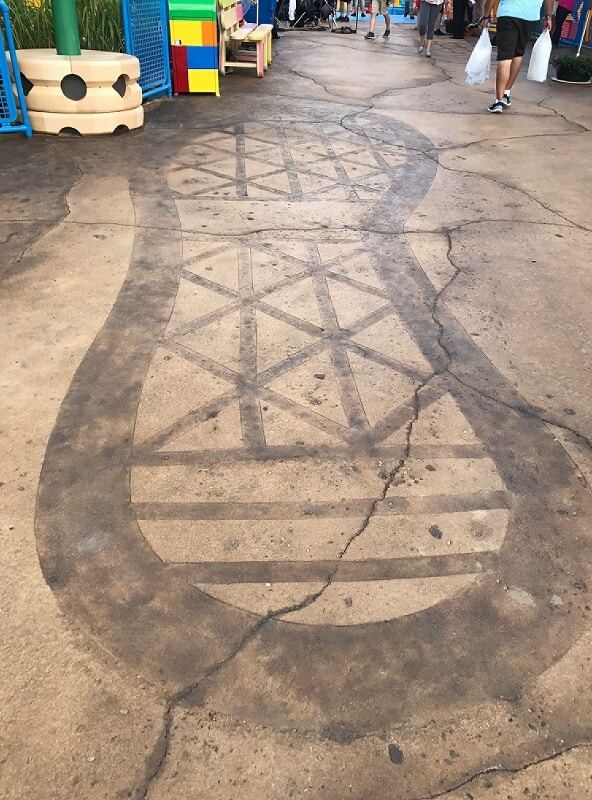 Toy Story Land is approximately 11 acres in size. 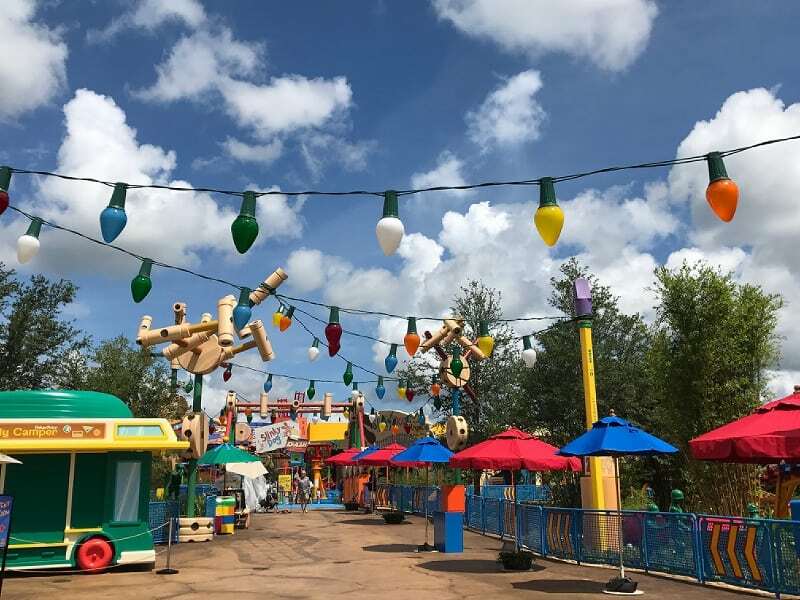 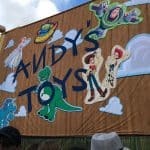 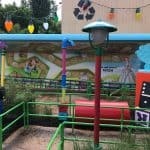 Compared to the other areas of the park, Toy Story Land feels huge. 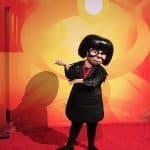 Make sure you wear sunscreen, because there is little shade. 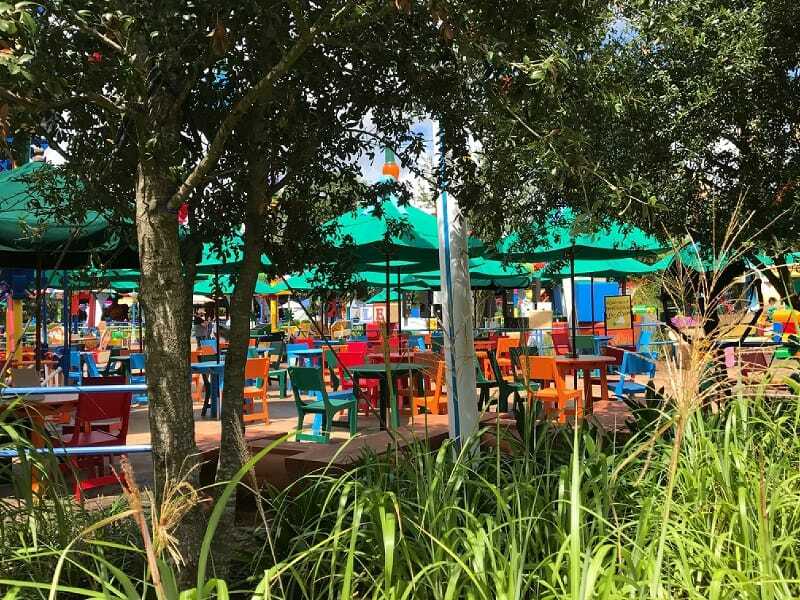 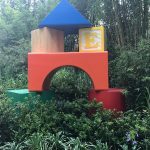 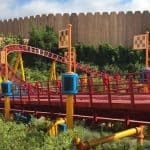 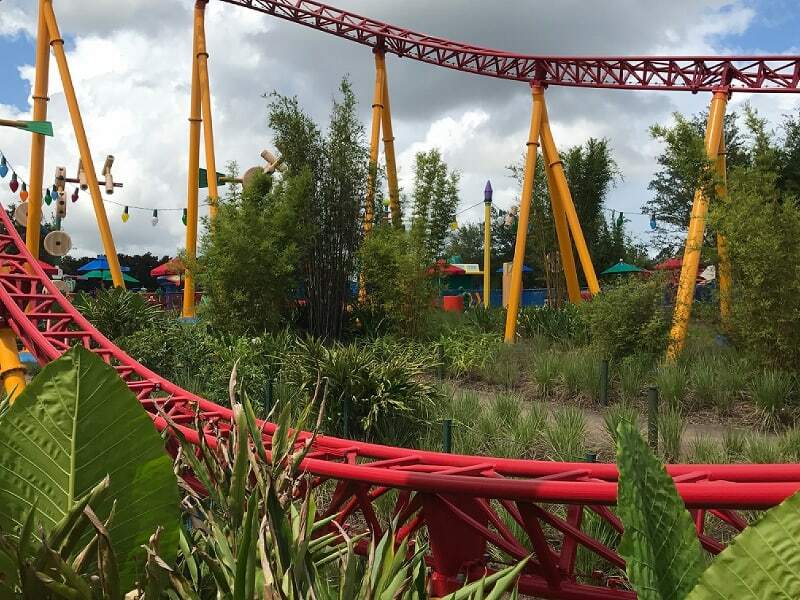 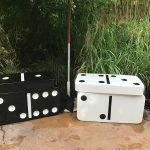 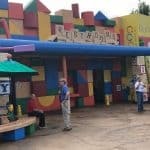 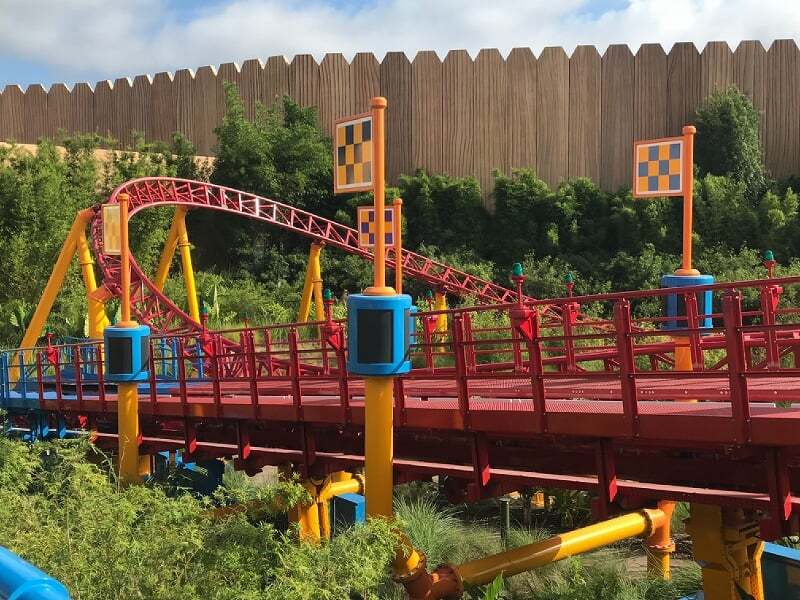 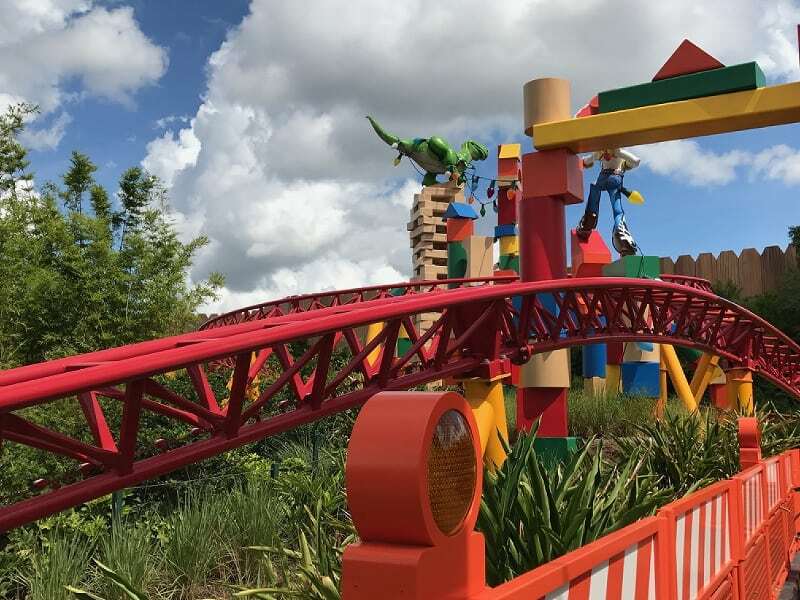 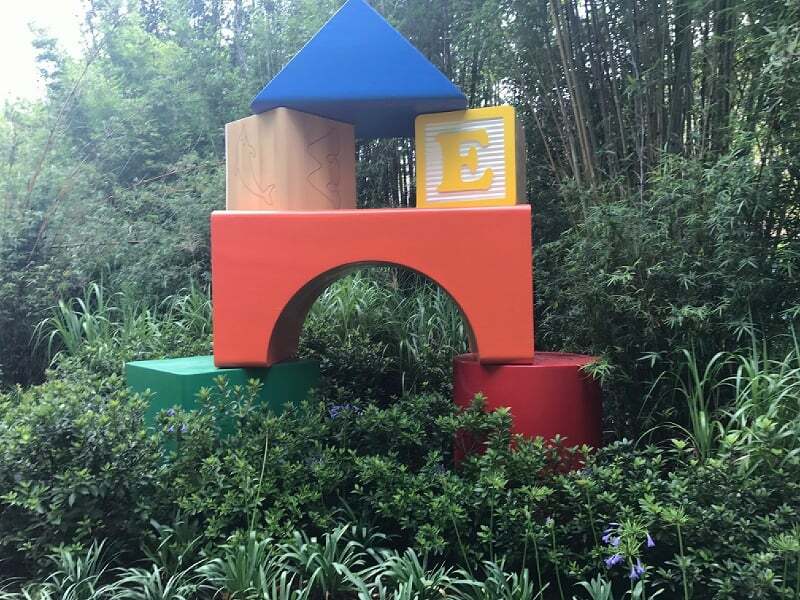 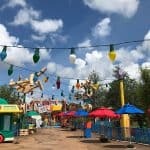 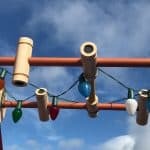 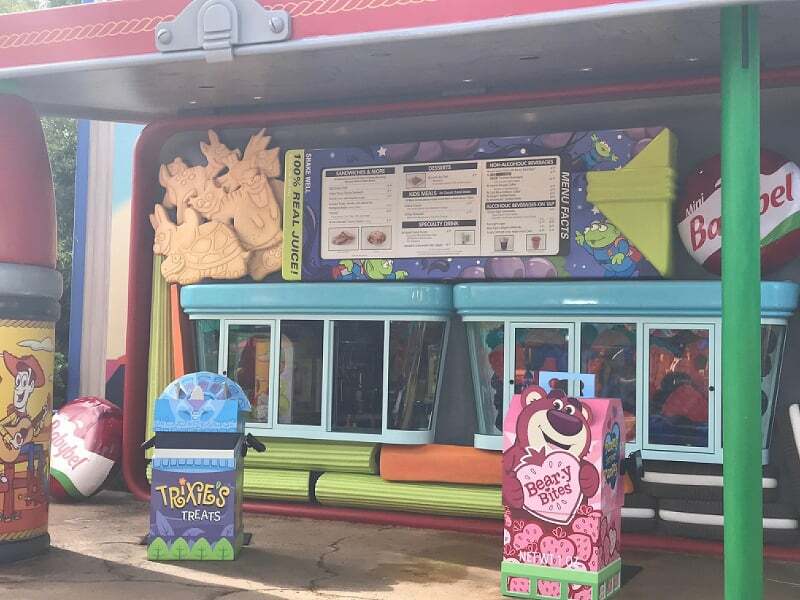 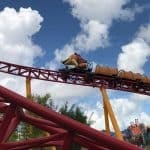 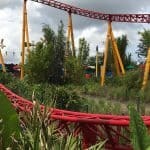 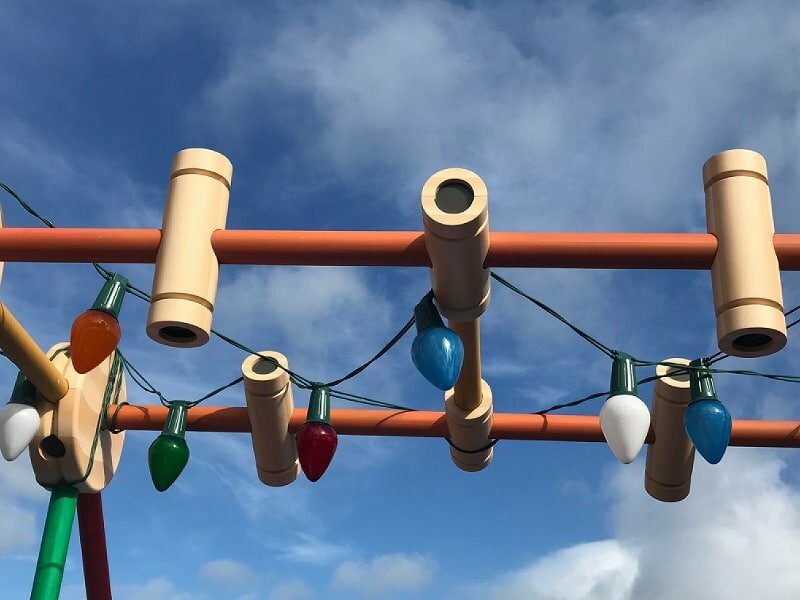 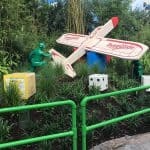 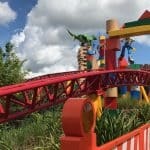 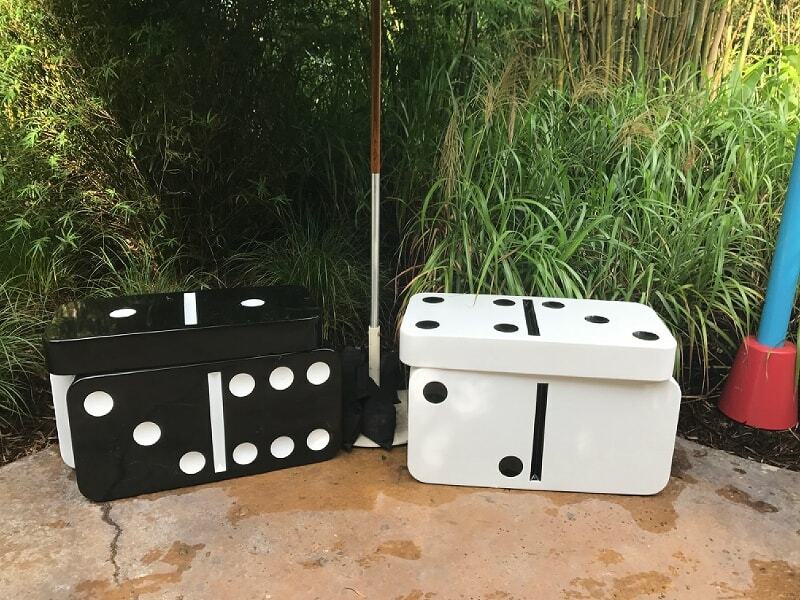 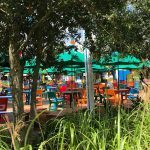 There was one bit of other news released after the Toy Story Land opening. 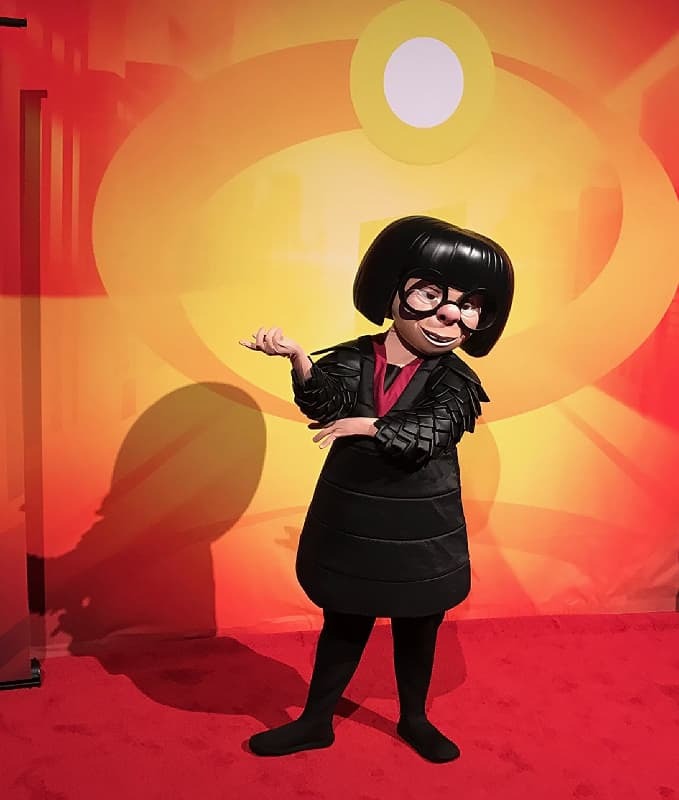 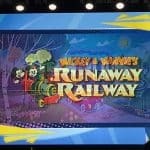 A new show is coming to Disney’s Hollywood Studios. 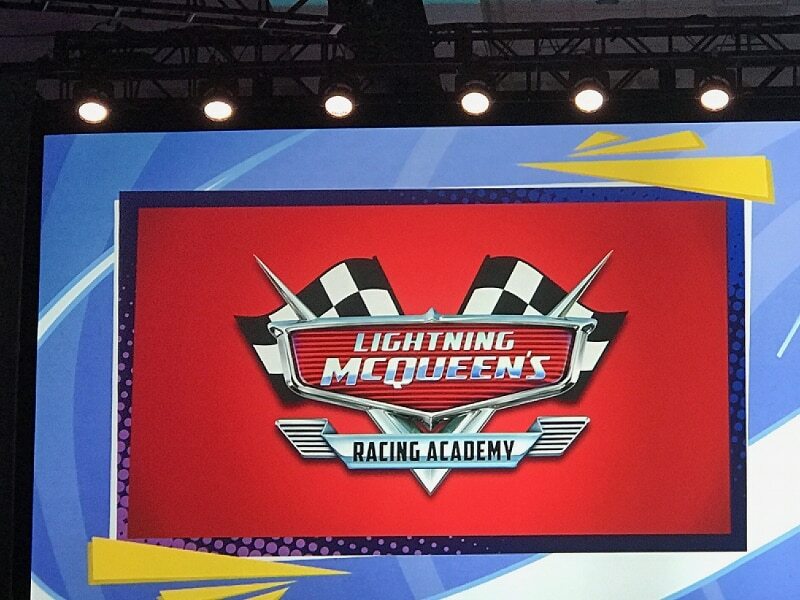 Lightning McQueen’s Racing Academy will take place near Rock ‘n’ Roller Coaster. 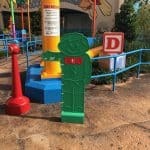 The gang from Radiator Springs will be there to help him out. 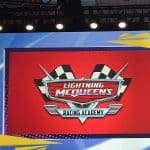 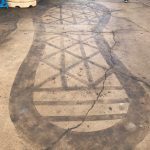 Lightning McQueen’s Racing Academy is expected to open early in 2019. 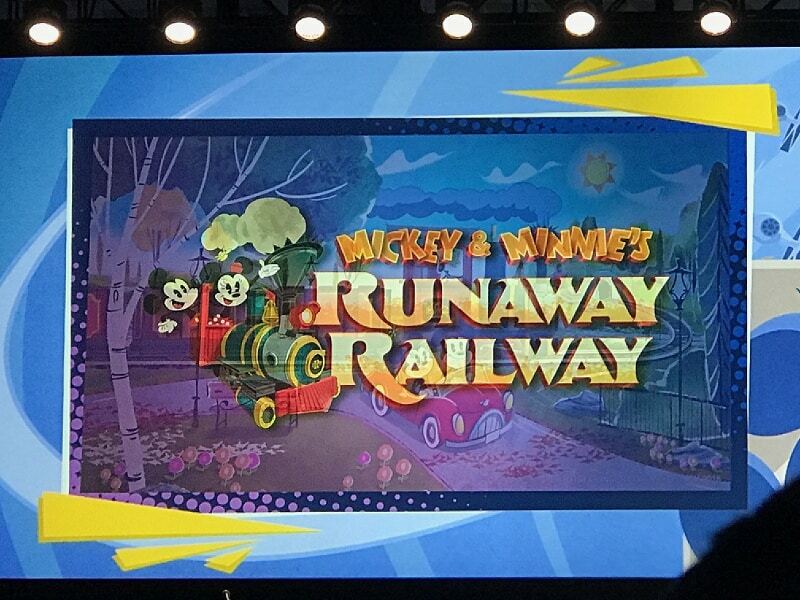 Also released on June 29 was a new image of Mickey & Minnie’s Runaway Railway. 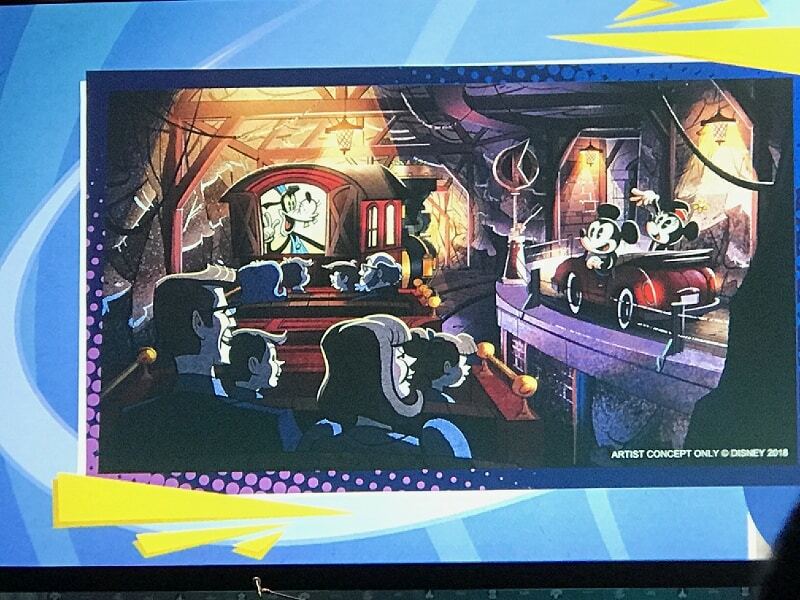 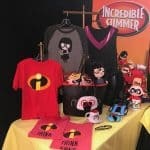 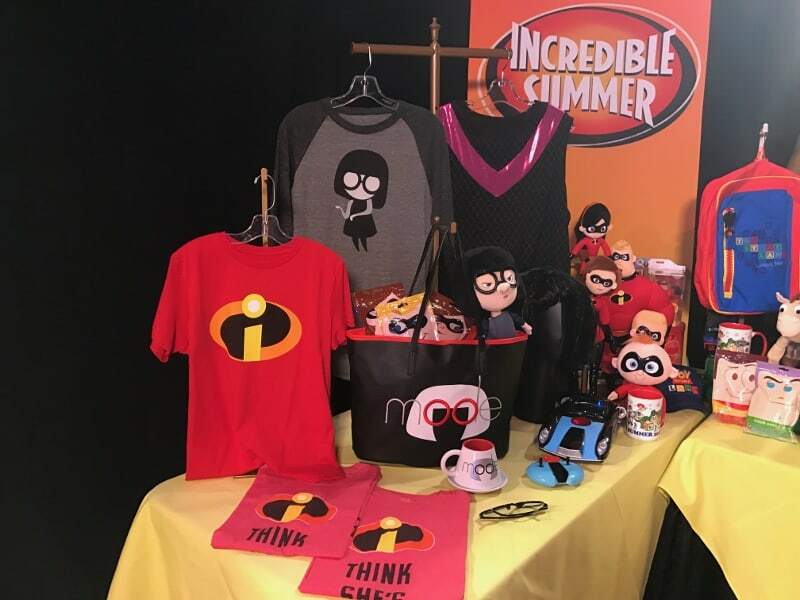 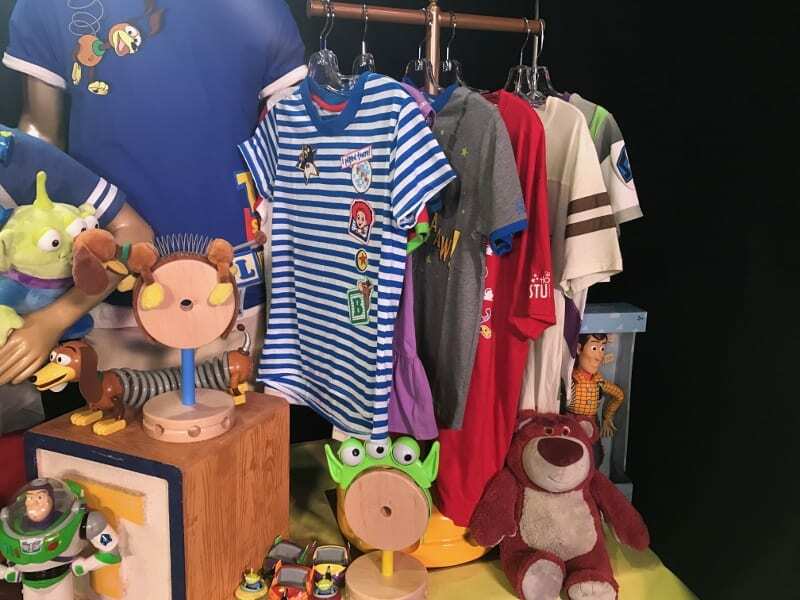 The ride, which is also supposed to open in 2019, will take guests inside the world of cartoons. 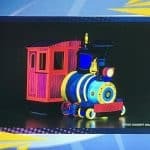 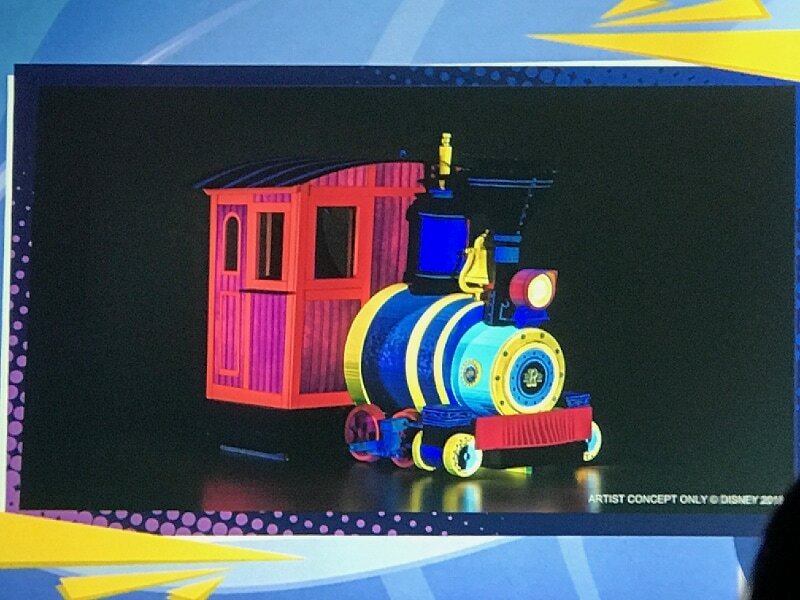 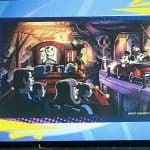 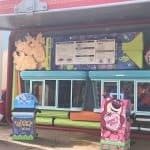 An image of a ride vehicle model has also been released, it’s a picture of a scale model, even though it looks like it’s animated.